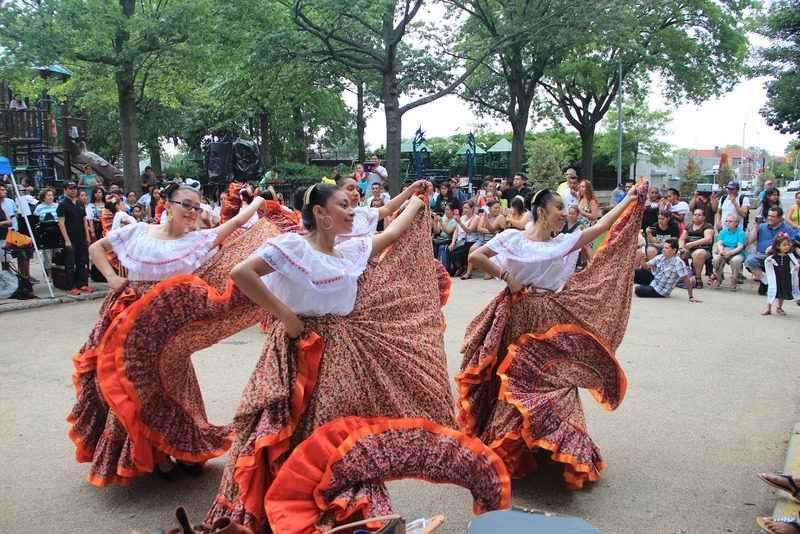 The ongoing transformation of 78th Street in Jackson Heights, Queens, shows how community-led initiatives can lead to meaningful, permanent change. The 78th Street Play Street project first began in 2007 when a group of neighborhood activists, including PPS’s Elena Madison, joined together to form the Jackson Heights Green Alliance (JH Green) and dedicated themselves to improving and increasing the amount of public space in their neighborhood. The group's first victory came in 2008 when they received permission to close off a block of 78th Street to cars during the summer’s Sunday afternoons. This move temporarily transformed the roadway into a place where neighbors could congregate, children could play safely, and the community could mobilize around a Placemaking agenda. Based on the support of this pilot project, JH Green presented a plan to Queens Community Board 3 Transportation Committee that would pedestrianize 78th Street for the entire summer. Though the committee rejected the proposal at first (in part due to concern about parking and traffic), locals persisted in challenging the decision and eventually changed the board’s position. 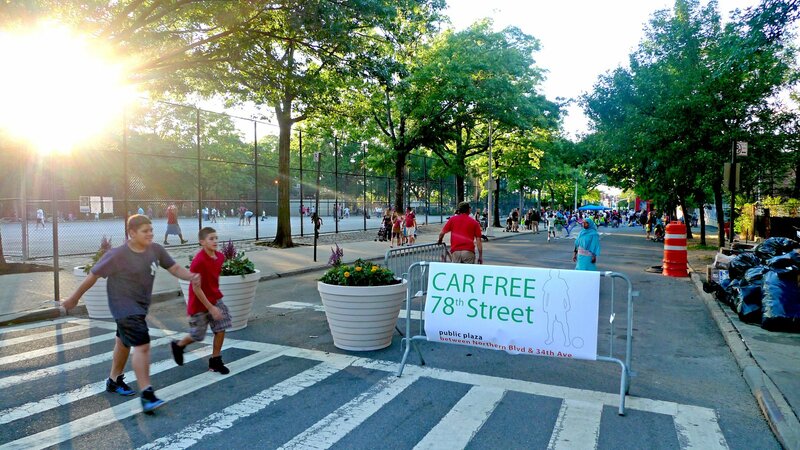 Through strong organization, JH Green succeeded in turning 78th Street into a car-free zone all summer long and, ultimately, all year-round. 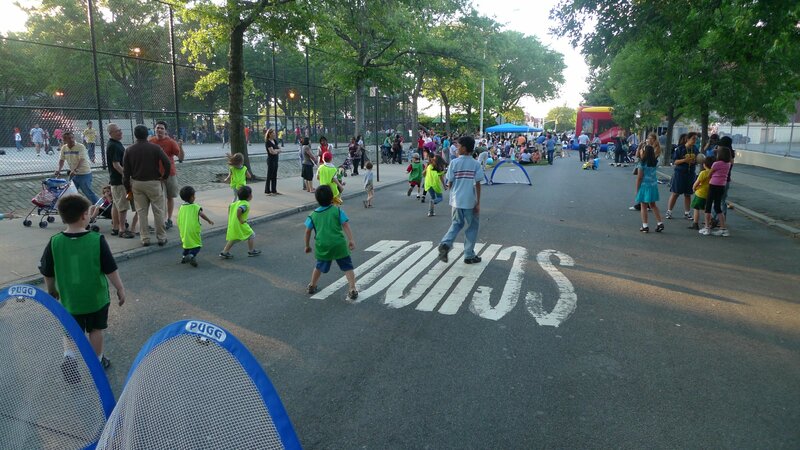 Today, 78th Street Play Street is a popular site for people of all ages to gather and enjoy activities such as outdoor movie screenings and live music. Moreover, due to the success of the street closure, the New York City Department of Transportation has begun plans to redesign the street into a more formal plaza—a reflection of the community’s vision and commitment to the space. Special events on 78th St.